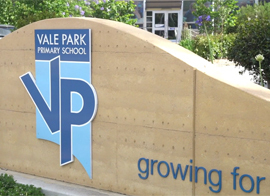 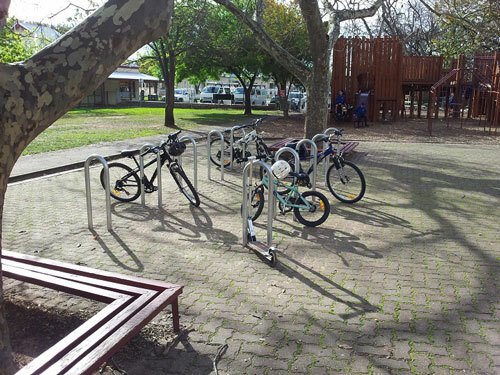 Rose Park Primary School incorporated specific undercover storage for scooters as well as bike rails as part of their plan to have more students riding and scooting to school. 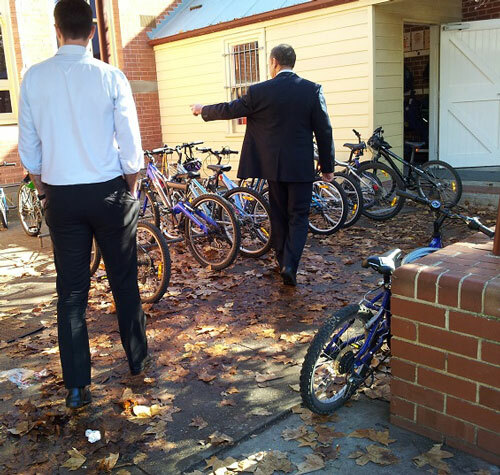 Storage was placed in different locations to maximise available space and avoid congestion on entry. 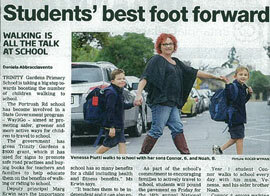 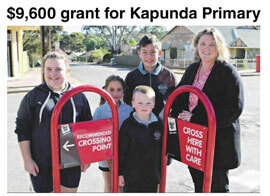 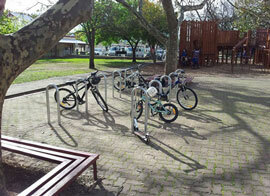 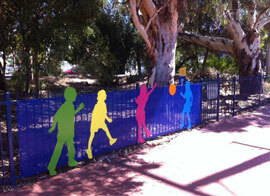 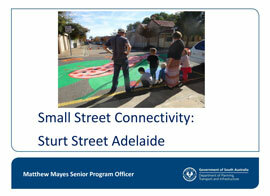 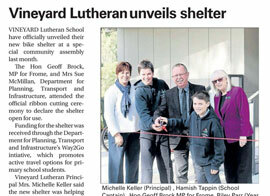 These facilities also benefit the regular weekend school playground users. 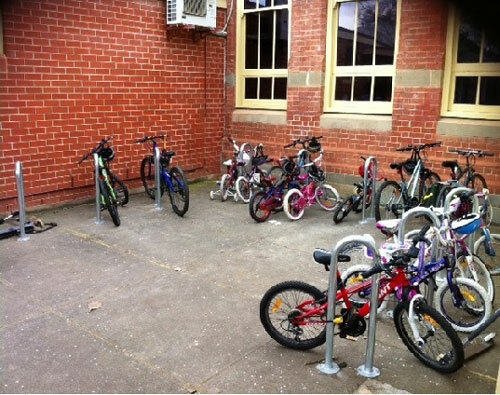 Bike capacity of the school was approximately 30 bikes with no area for scooters. 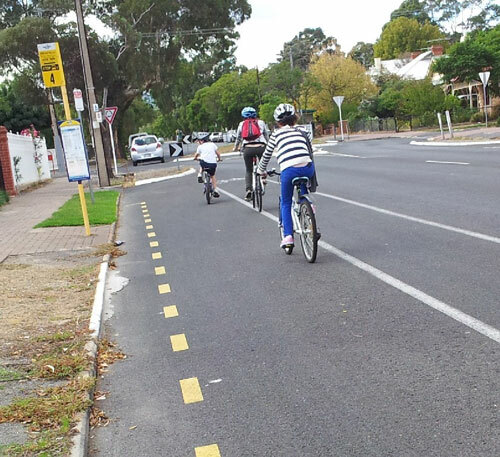 When surveyed 12% of older kids were cycling, 39% wanted to cycle and 58% travelled to school by car, the majority of children live within 2km of the school. 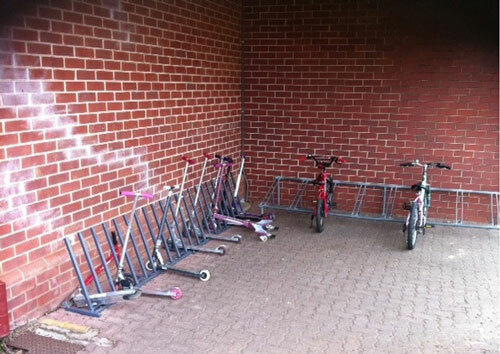 Many children and parents nominated the lack of adequate secure parking as a barrier to cycling. 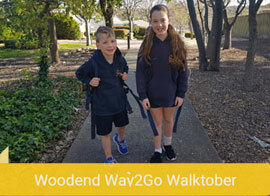 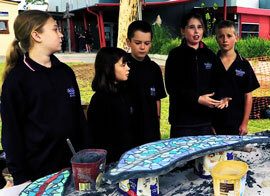 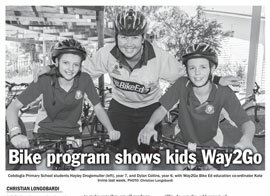 The school applied to Way2Go to assist it increase the storage capacity to more than 50 bikes and asked a parent who is an engineer to design and construct a scooter rack. 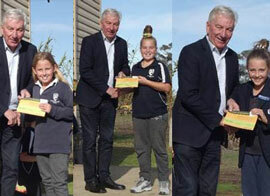 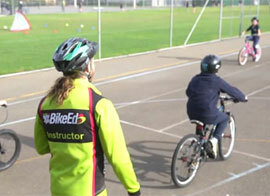 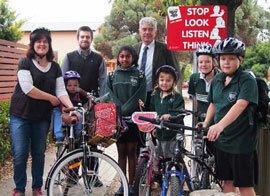 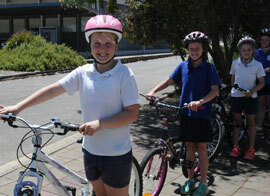 The school is developing a culture of cycling and is a strong supporter of the council’s bike strategy. 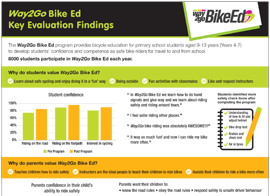 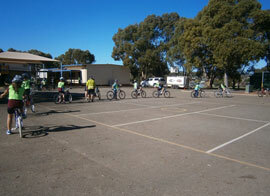 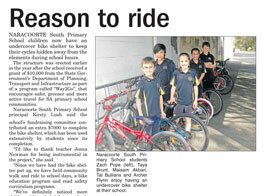 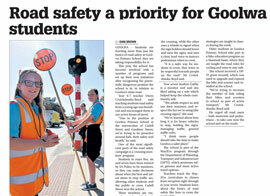 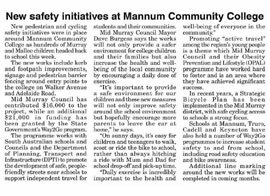 The school participated in Way2Go Bike Ed and has incorporated bike safety units into inquiry based learning.